In the mid-2000s, the Drew Estate team was searching for the perfect smoke, a quest which led them to create dozens of intricate blends until they found the perfect goldilocks cigar. Flawless in both flavor and character, rich, complex, and full-bodied without being harsh, it was too good not to share with the world. 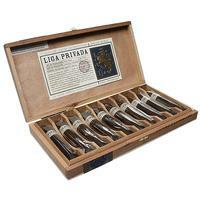 They released the limited production stick under the name Liga Privada No. 9 in 2007. The team continued experimenting and sampling new blends, even crossing continents in search of the best leaf. 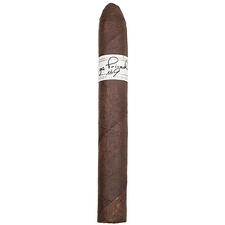 They launched the T52 series just two years later. Like the No. 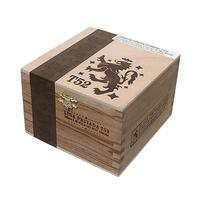 9, the T52 combines seven distinct and well-aged tobaccos, hand-rolled by the factory's best torcedores. 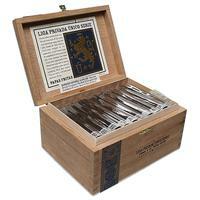 But a quest for the perfect smoke never quite ends. Throughout Drew Estate's creation of the Liga Privada line, they developed some truly unique blends which, while exemplary in their own way, could not be made into their own stand-alone lines, due to costs and tobacco and construction limitations. 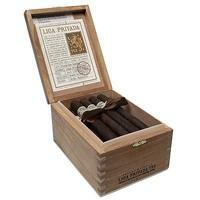 Thus the Liga Privada Unico Serie was born. 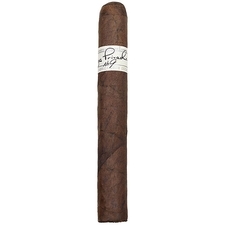 All the cigars in this series are different in both size and blend, unified in theme by their extremely limited availability and exceptional flavor. 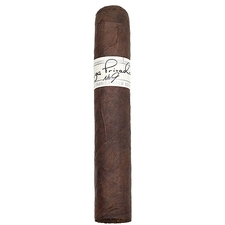 Below you'll find all the latest arrivals from Liga Privada, including the famed Papas Fritas as well as new vitolas in the No. 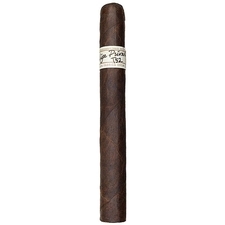 9 and T52 lines. Drew Estate will no doubt continue their quest for the perfect cigar, but as we all know, it's the journey that truly counts, not the destination. And how sweet that journey has been.